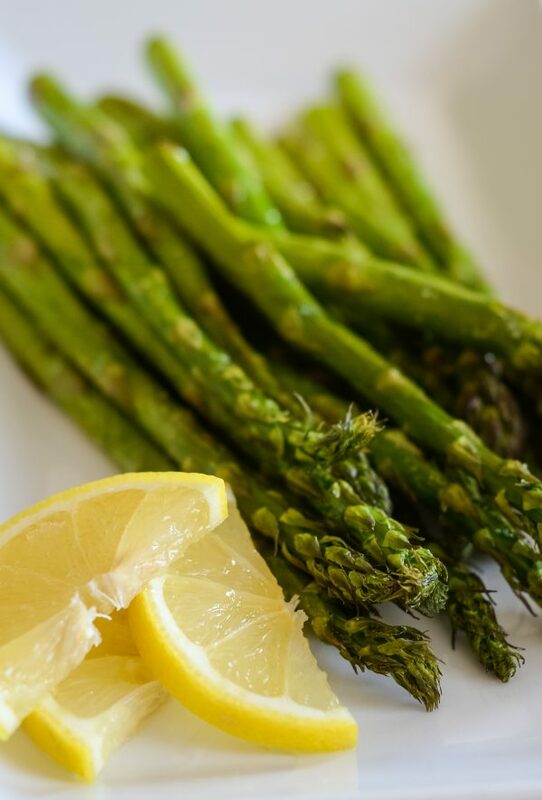 Make a delicious, crispy side dish with Air Fryer Seasoned Asparagus! Did you get a new air fryer this year? So many people seem to have received one this holiday season. If you haven’t already, be sure to check out the Air Fryer Fanatics Facebook Page, where I share air fryer recipes daily. One of my favorite foods to cook in the air fryer is vegetables. Honestly, you do not have to add much to them, no breading or many extras are needed, but a few minutes in the air fryer and they come out perfectly crispy. 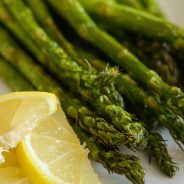 I decided to make some Air Fryer Seasoned Asparagus this past week to pair with our dinner and it did not disappoint. Plus, if I am understanding correctly these are 0 points too if you are following the Weight Watchers plan. My daughter loves green vegetables, she isn’t a big fan of any others but for some reason, if it’s green, she’ll eat it. 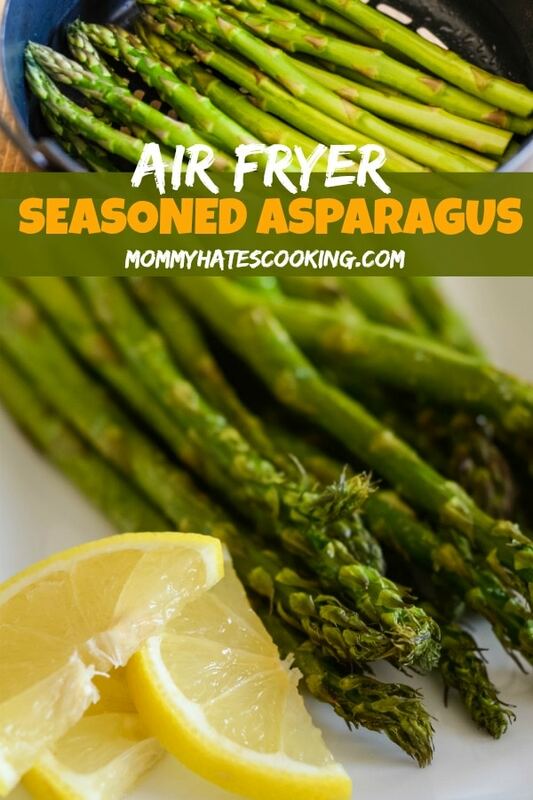 She really loves asparagus and with the air fryer, it’s so easy to make it perfect and in just 10 minutes. Asparagus has become a regular side dish around our home and even my husband is starting to learn to love it. How do you cook vegetables in the air fryer? It’s simple to cook vegetables in the air fryer, most of them will be ready in 10 minutes. It’s best to use a cooking spray such as an Olive Oil Cooking Spray, Coconut Oil Cooking Spray, or similar to give them a nice little coat and flavor. I also like to add a dash of garlic salt too. Once you have them sprayed and salted if you prefer that, all you do is cook it and serve. I always cook my vegetables at 390 degrees for 10 minutes. I check them at 5 minutes to be sure they are cooking up nicely and turn them if needed too. 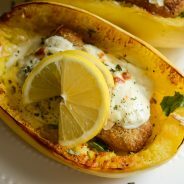 This method works for a variety of vegetables including Air Fryer Yellow Squash too. 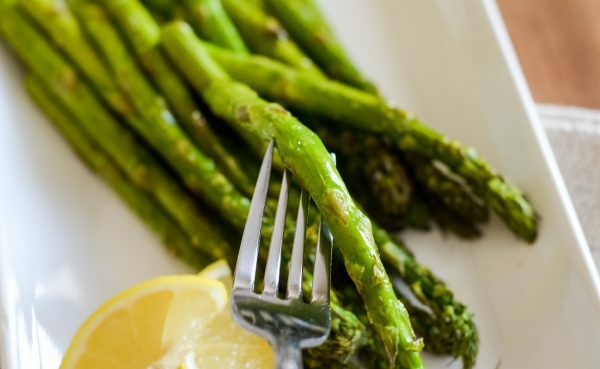 What do you need for Air Fryer Seasoned Asparagus? That’s all you need, it’s that easy and 10 minutes later you’ll have the best tasting asparagus EVER right on your plate! Remember to always check on it about 1/2 way through the cooking time, so in this case after 5 minutes. Most air fryers all seem to put off a different amount of heat, which means it’s best to check on the food to avoid overcooking. At 5 minutes, rotate the asparagus to make sure it is cooked evenly. Before cooking asparagus, always trim off about the bottom 2 inches of the asparagus. If you trim the asparagus stems it gets rid of the tough base of the stem. Now, since we are making Air Fryer Seasoned Asparagus, the point is that it’s not as many calories. This means it’s at to be sure to lightly spray it with the olive oil cooking spray. There is no need to add heavy amounts of oil, it’s just a light coat. This is important to remember when cooking anything in the air fryer, there is no heavy oil needed. That is the whole point of the air fryer, right? It is! 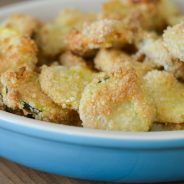 Are you ready for this tasty side dish? 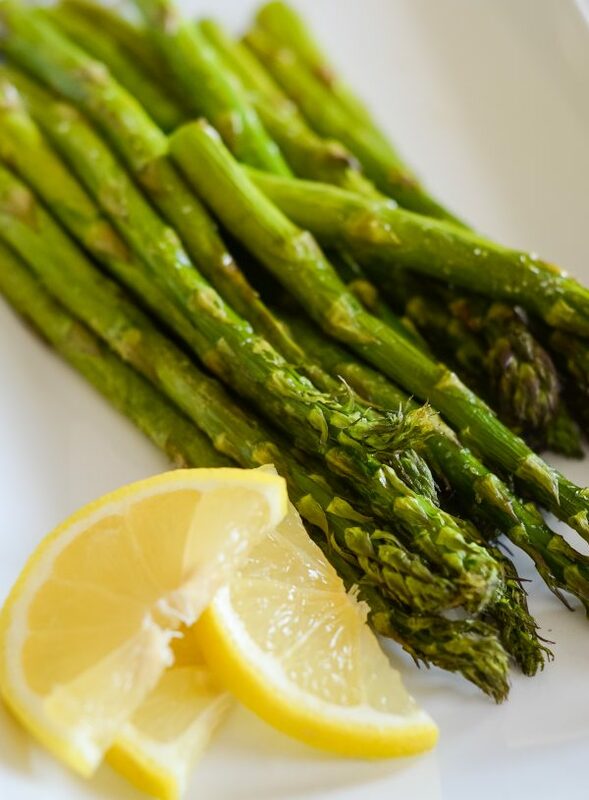 Let’s enjoy some Air Fryer Seasoned Asparagus with dinner tonight. 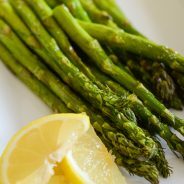 Make the best crispy, crunchy, and tasty asparagus in the Air Fryer with this Air Fryer Seasoned Asparagus! Begin by trimming about 2 inches off the stems of the asparagus. 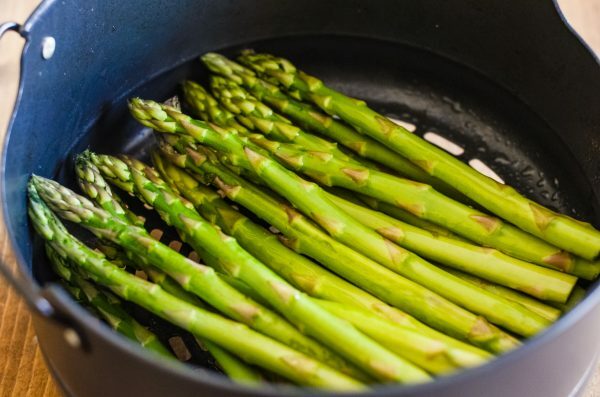 Add the asparagus to the basket of the air fryer. Lightly coat with olive oil spray and a dash of garlic salt. Cook at 390* for 5 minutes. Check the asparagus and turn it. Cook an additional 5 minutes.